Mineko is a student at a Japanese High School. Give her a hand by selecting stylish clothes and school uniform from her wardrobe. 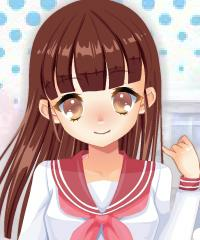 Try out your makeup skills by giving Mineko trendy makeover and hairstyle.